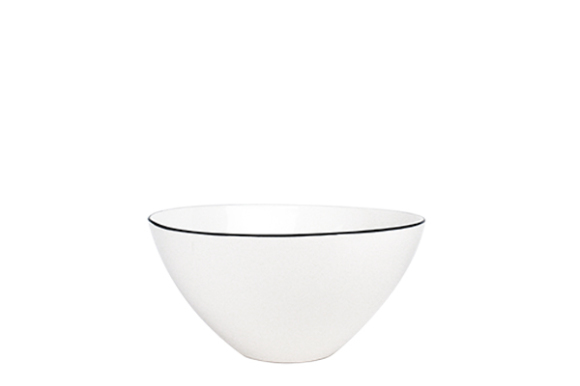 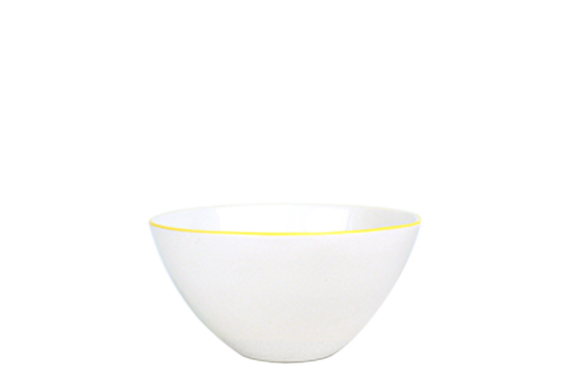 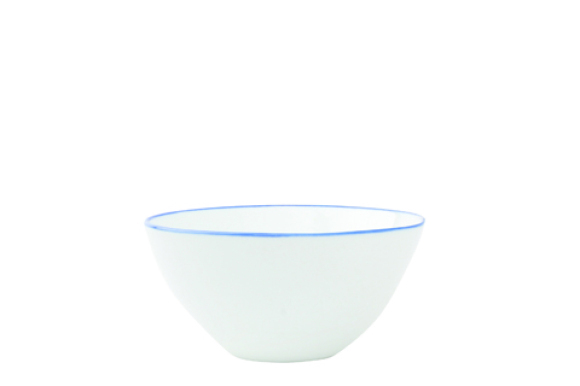 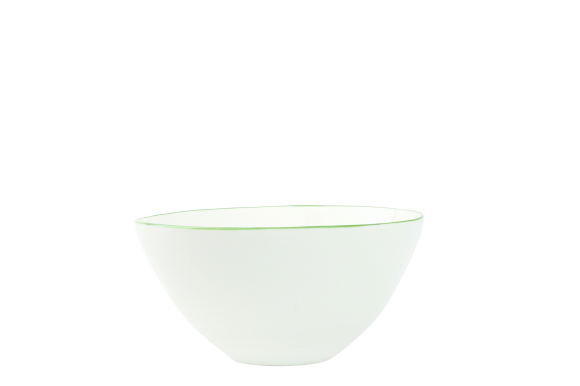 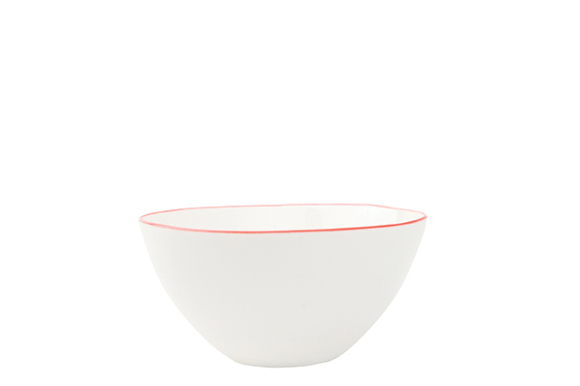 This small white porcelain bowl is part of the Abbesses range from Canvas Home, declared a design classic by Elle Decor. 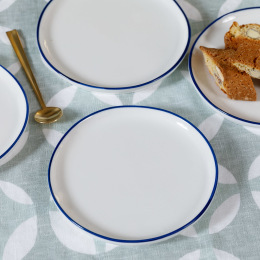 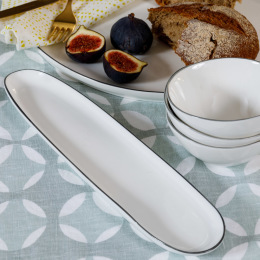 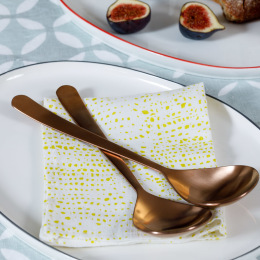 Organic in shape and with a hand-painted rim, this versatile piece can be used for pre-dinner nibbles or for dainty puddings and will add a simple elegance to your table setting, all year round. 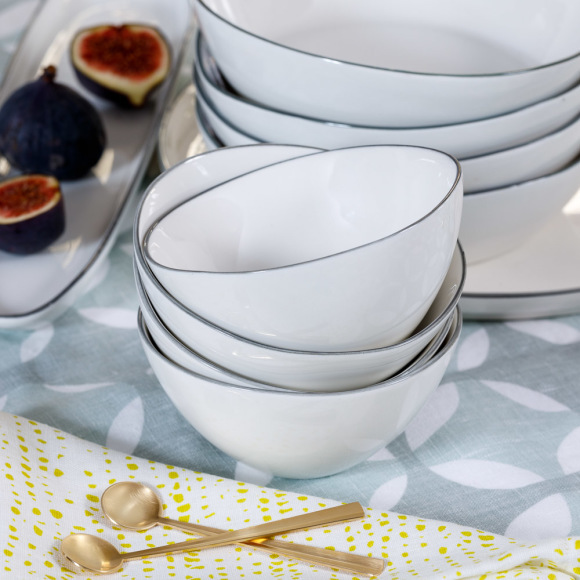 Available in assorted colours to mix and match.